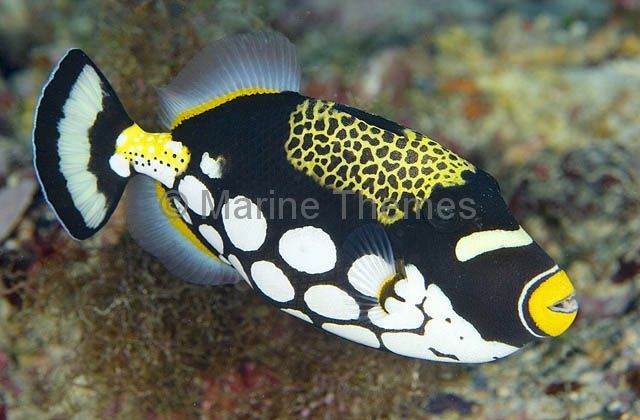 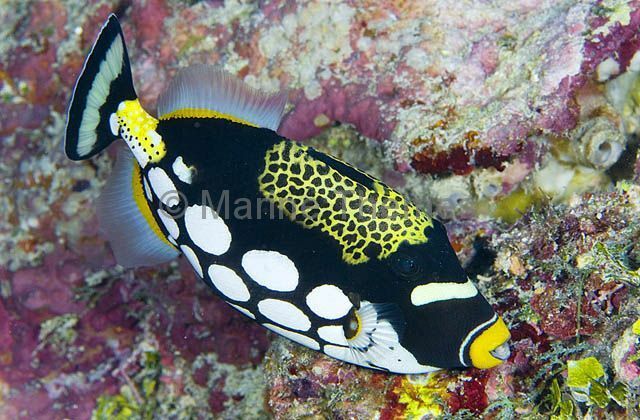 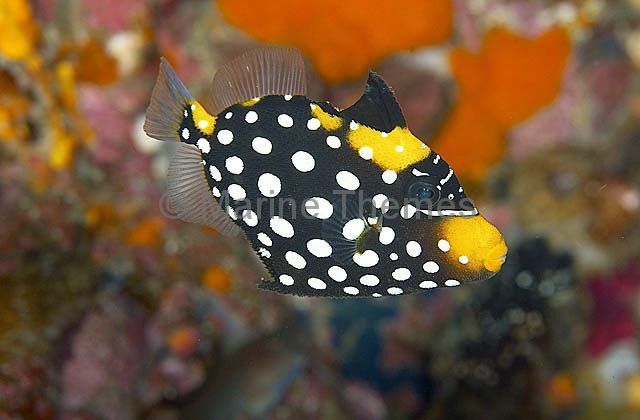 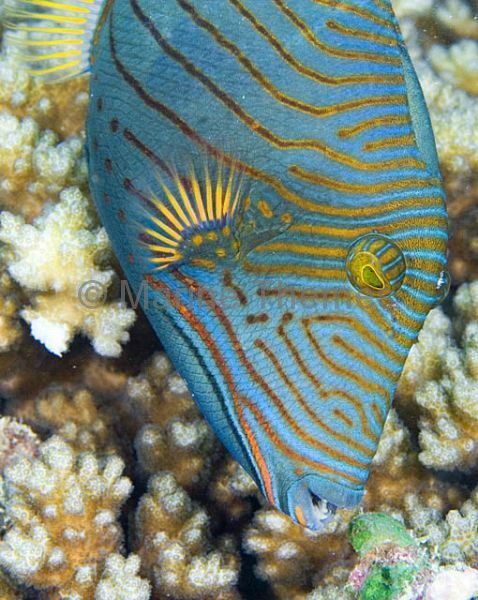 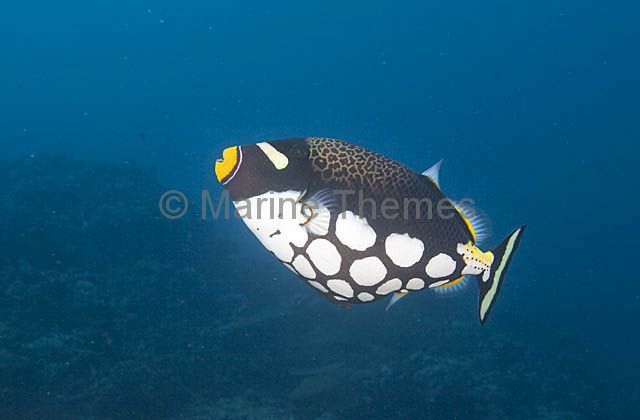 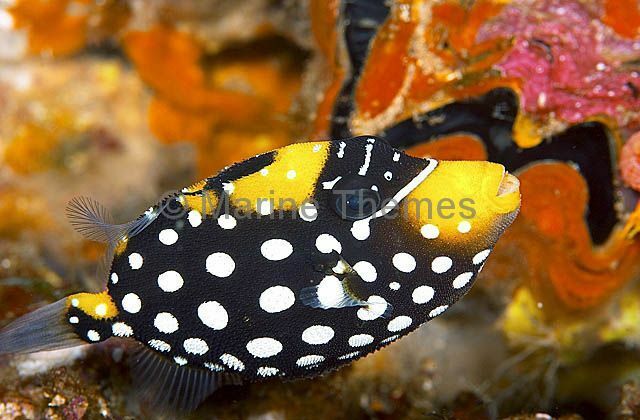 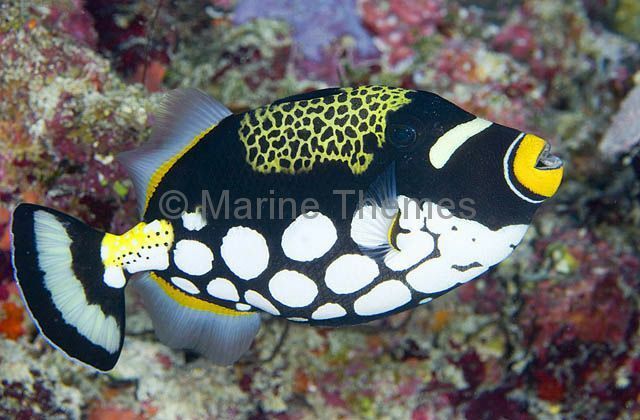 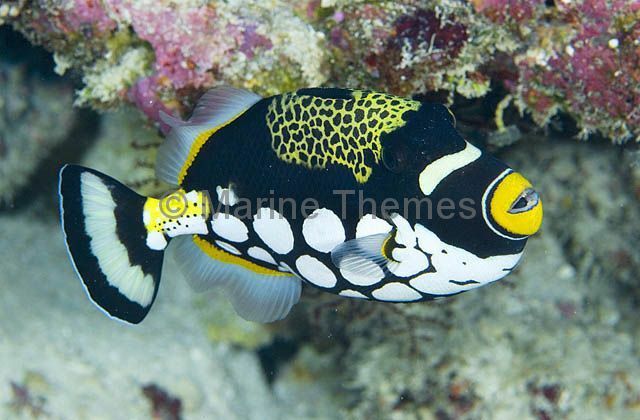 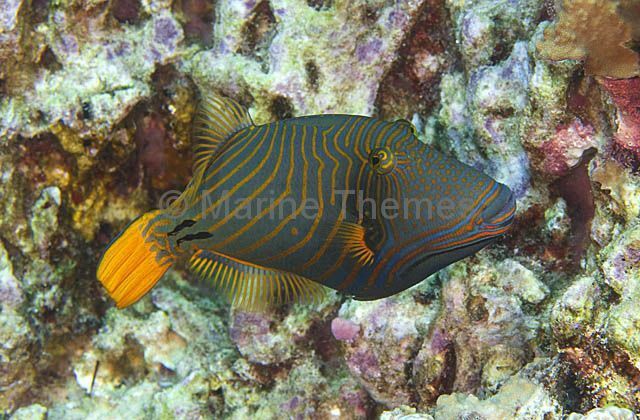 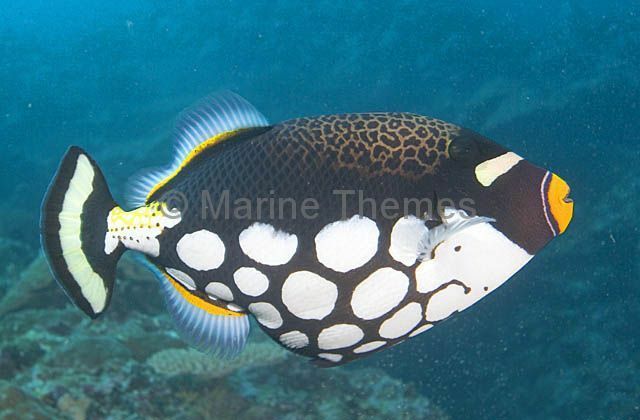 Clown Triggerfish (Balistoides conspicillum) Juvenile colour pattern. 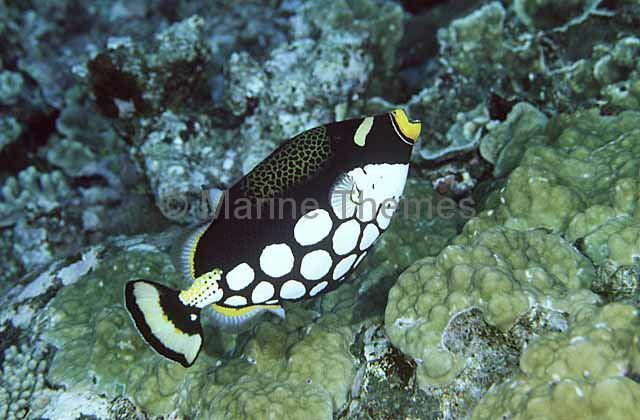 Clown Triggerfish (Balistoides conspicillum) swimming over coral reef. 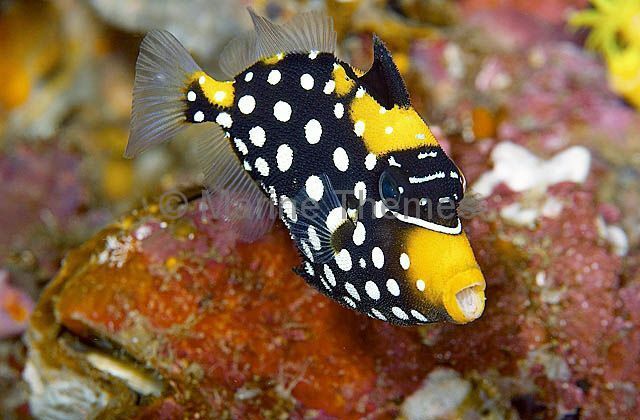 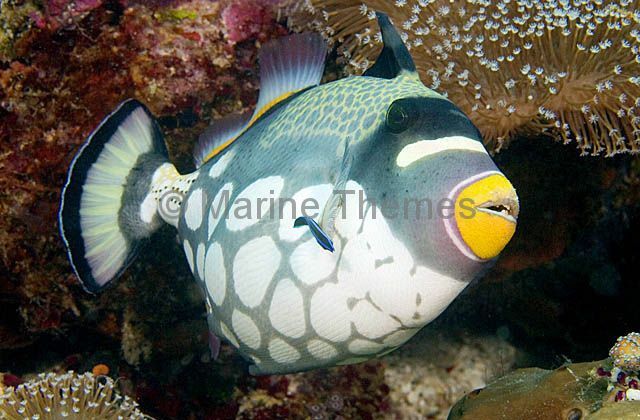 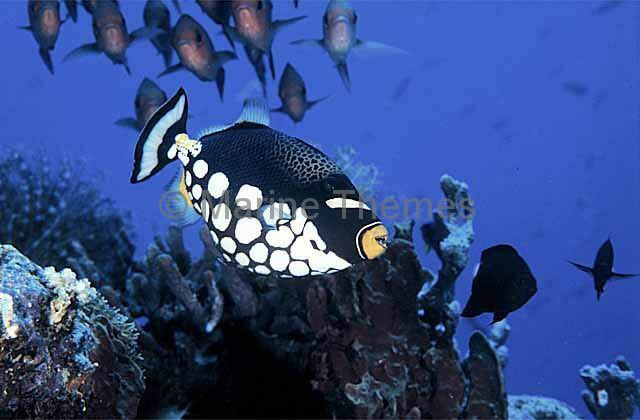 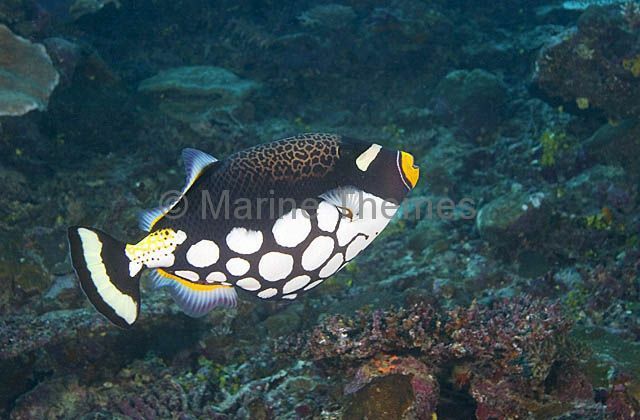 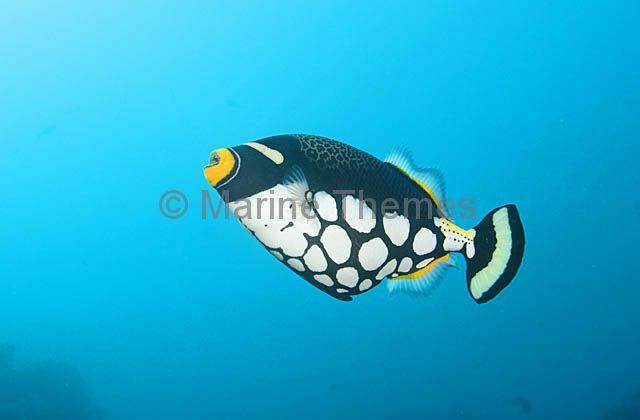 Clown Triggerfish (Balistoides conspicillum) swimming in open water. 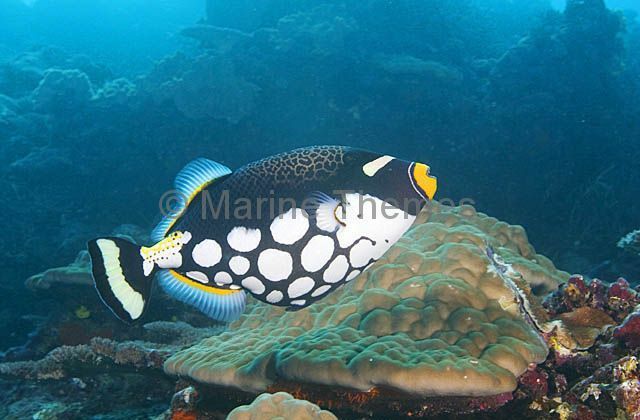 Clown Triggerfish (Balistoides conspicillum) swimming above coral reef. 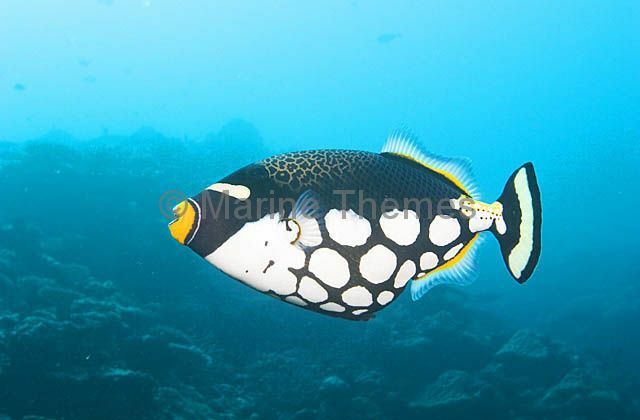 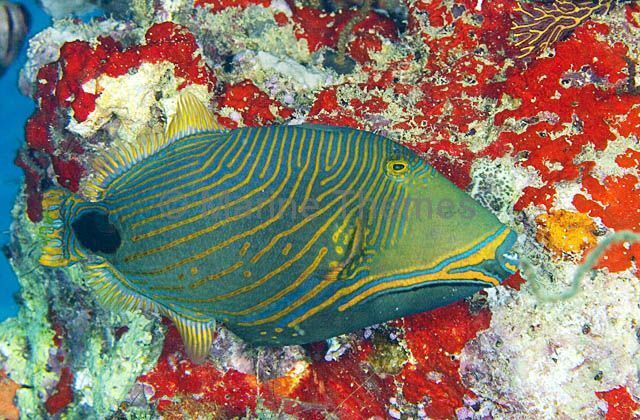 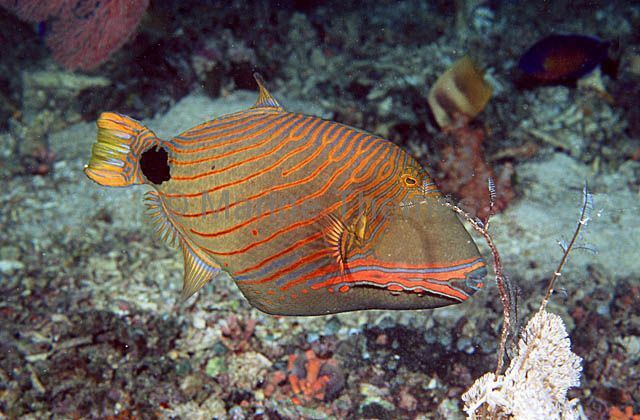 Orange Lined Triggerfish (Balistapus undulatus) foraging over coral reef.